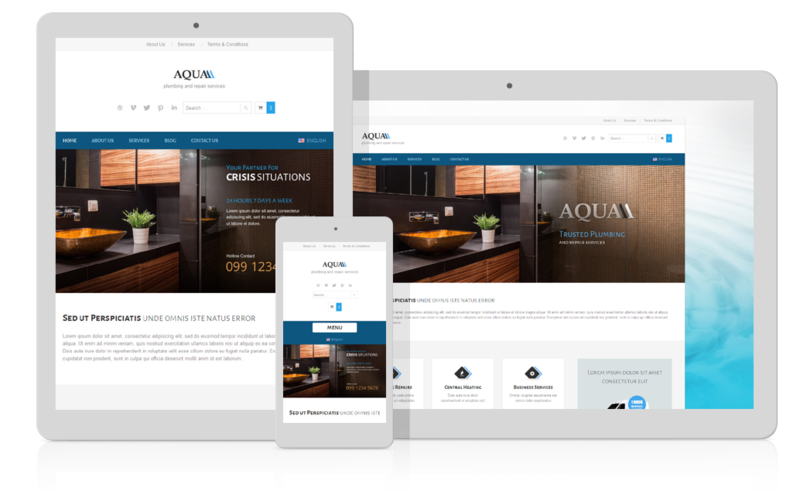 Aqua is another great theme from our range of highly customized WordPress Themes. It has been especially designed for plumbers, handymen or craftsmen and any other small businesses. With this Theme you can build your website fast and easily even without any IT background. Let your current and potential customers know about yourself. Describe your work and dedication for what you do. If professional approach and high quality is what you offer to your customers, create a professionally looking website that will speak for you. 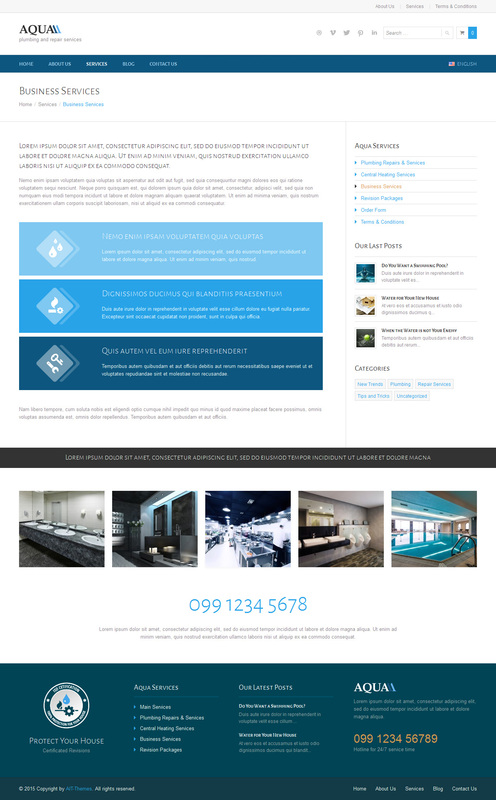 Check below examples on how great your website might look with Aqua Theme. Add a little bit of personal touch with pictures of your own work, describe your services or products. Most powerful Page Builder on the market. Build your page content using many available elements. Two ready to use header types you can choose from. Simple text element that can be used to create blocks of text, you can use it as full width element or in columns. It helps you earn money from your site. 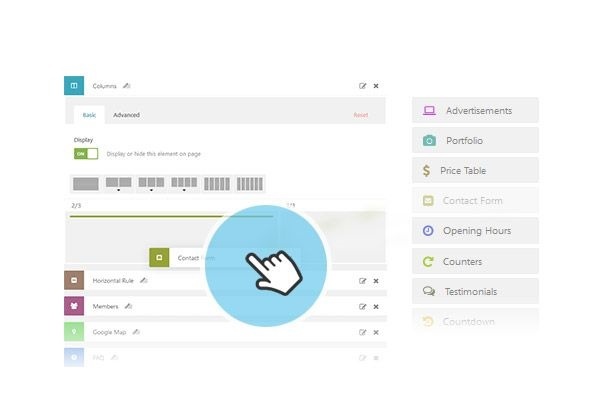 Now you can easily manage your ads. I’m looking for at dark/black template to replace this site – any good advice? I am looking for plumber templates resell am I able to use these to resell to multiple domains??? You can use our themes as many times as you want. 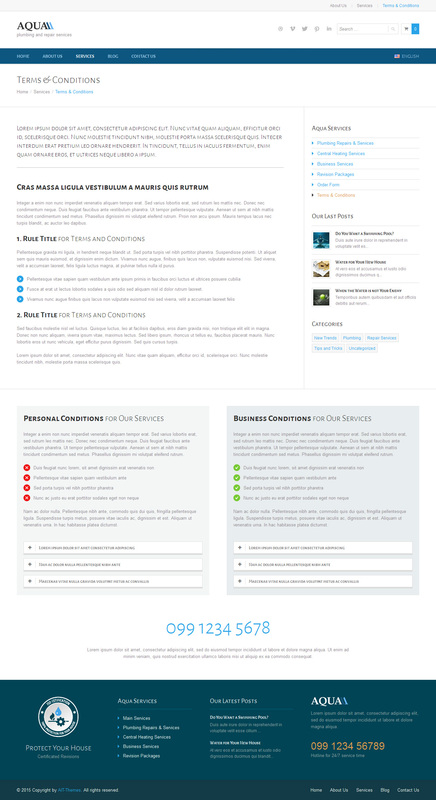 There are no restrictions on the number of domains or web projects where you can use our themes. I have some issues on Aqua theme. Istalled theme and plugins all activated. Installation failed: Can not authenticate user due to incorrect AitThemes.Club API credentials or they were not provided. Make sure you have entered correct Username and API key. I don’t find where to enter username and ApiKey. thanks for purchasing Full Membership. If I buy Aqua theme, how can I make language switch on it? Aqua theme is compatible with AIT Languages plugin: https://www.ait-themes.club/multilingual-support/ thanks to which you can set language localization in a few steps according the following instructions: https://www.ait-themes.club/documentation/#multilingual-options . Once you’ll start adding the content in your preferred language the language switch appears consequently. This theme is raedy for multi-language site? Can this theme be shown in full screen or only boxed? Does the theme come with the demo content installed? Как добавить/удалить иконки социальных сетей, которые находятся на главной странице между верхним и главным меню? I’d like to kindly ask you to check our knowledge base and/or documentation https://www.ait-themes.club/documentation/ and filter the results by using the proper keyword. Should your issue still persists, please provide our Ait-Themes team with any theme-regarding issue: Customer Support is provided during working days from 8am to 5pm Central European Time. If you have not created Ait Themes Club account yet, please use this form: https://system.ait-themes.club/join/tf and post your technical question directly in our support ticket system. Please log in to your account https://system.ait-themes.club/support/ . In general support covers mainly finding of solutions for problems in theme and help users use the product, if there is a bug we’ll fix it as soon as possible. 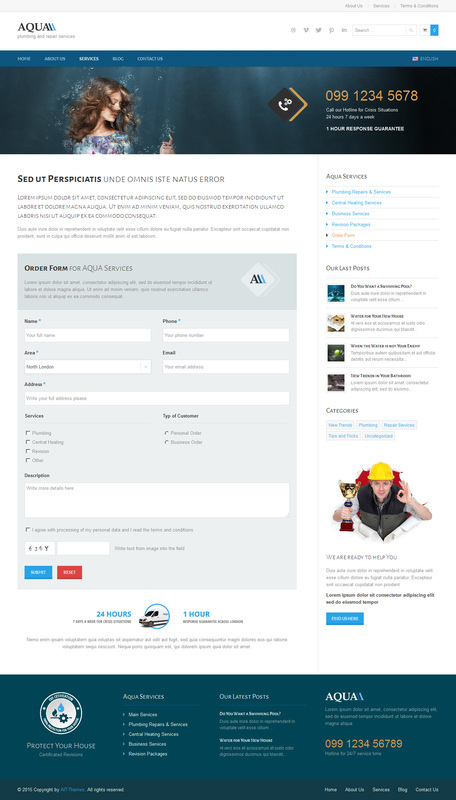 Unfortunately we are not capable working on user’s custom websites. Compre este tema y no me aclaro, no es nada intuitivo y no entiendo como funciona, por favor devananme el dinero no quiero usar este tema. your request has been proceed, you’ll receive money back on your account asap. Quisiera saber como conseguir las imagenes de este tema. Cuando importo el tema las imagenes salen mal, como si no estuvieran descargadas. thanks for asking. Images are not included in the theme due to copyrights. When I filter your themes, I can find the Aqua theme among Woocommerce ready themes. But the demo doesn’t show a shop page added to the theme? There is also no mention about Woocommerce in the theme description?